I've always been extremely sceptical of psychics, paranormal investigators and ghost hunters, those people who wander around houses with Geiger counters, thermometers and other such equipment, telling you that there are spirits around. I personally don't believe in ghosts but equally don't ridicule those who do. This film takes a pseudo-documentary approach to the allegedly true story of Carter Simms, a renowned ghost hunter whose skill and ability to find spirits brought her to the attention of Seth Masterson, the owner of the infamous Masterson House where, in 1982, the Masterson family were all found dead. Since then, no-one has lived in the house and Seth wants to debunk people's fears in order to sell the property. Simms is a sceptical investigator who chooses to believe that nothing is there unless proved otherwise and likes to work alone but Seth has paid her $5,000 and insists that she is accompanied by a journalist and videographer to make sure the investigation is thorough and properly documented. When the three set up, they are joined by Mary Young Mortenson, a headstrong young woman there to represent the local church which the Masterson's founded. 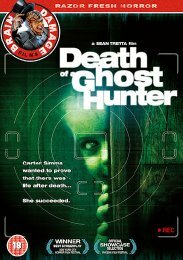 Death of a Ghost Hunter is not a true 'found footage' style film like The Blair Witch Project, using the notes that Simms made during her investigation as the basis for a re-enactment of the events during the three nights they spent in the house that finished when Carter Simms died. Using voiceover narrating Simms' diary and encounters they imagined took place, the filmmakers document what they think happened. After some introductory intertitles setting the scene, the film shows a woman placing a crucifix and a baby in a bath, putting in the plug and running the tap before pulling up a chair and shooting herself in the head. 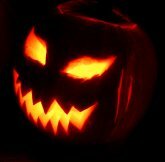 You are immediately aware that something odd happened in the house so are quite interested to find out what. As the investigation unfolds, tensions arise, Simms and her 'associates' come across some disturbing occurrences en route to the tragic finale. This is a low budget film with some pretty ordinary acting yet the story is strong enough to keep you emotionally involved enough to forgive the shortcomings and invest yourself, wanting to know what happened and stay with it until the end. As with any pseudo-documentary, Death of a Ghost Hunter is in with some esteemed company yet is a cheap way to make a film that lives or dies on the strength of the story. Fortunately the events, be they fact or fiction, are interesting and believable so this does make for reasonably compelling viewing with some good scares thrown in. The subject matter was bound to throw up comparisons with Poltergeist so it was a wise choice to get it out of the way early when Seth makes a crack about 'going into the light' to Carter, who isn't in the slightest bit amused, as she's heard it plenty of times before. I didn't quite know what to expect from this, being the first of the Brain Damage releases that I'd seen and, having seen the trailer which made me expect the worst, was pleasantly surprised and it kept me hooked. Given the obviously low budget nature of the film and bargain basement RRP, it isn't surprising that the disc comes with a letterboxed picture and a mono soundtrack with fluctuations in the volume. 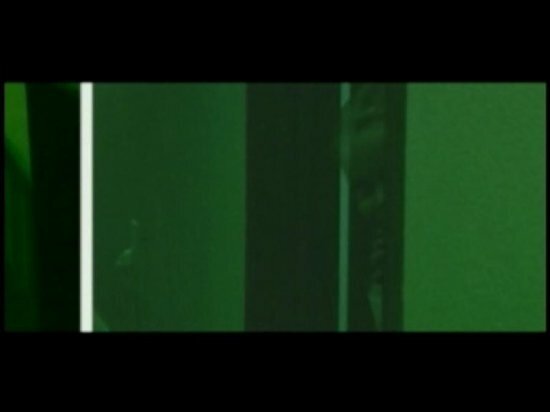 However, the film is nicely shot and makes good use of the night vision camera, using the conceit that you need to investigate with the lights off for best effect. Dialogue is reasonably clear and, despite only having the mono soundtrack, the atmosphere is pretty tense and the shocks are delivered well. Death of a Ghost Hunter is an engaging film which manages to overcome the wooden acting and slightly irritating voice over to make something better than it should have been and certainly much better than I was expecting. For a disc that comes with an RRP of £2.99, this is definitely worth a look if you are in any way a horror fan. Whilst not the best DVD you'll ever come across, it certainly represents value for money and it seems that Brain Damage Films have an interesting thing going.